Matthew Agar qualified as a Solicitor in 2012. He is originally from Middlesbrough and is proud to be practicing in his local area of Teesside. He adopts a meticulous approach to each and every case that he deals with and places client satisfaction above all else. Matthew has practiced across the whole of the North East region including Newcastle, Sunderland and County Durham. Matthew oversees the Crown Court Department. This involves him taking conduct of the more serious cases once they have been sent from the Magistrates to the Crown Court. He is responsible for considering all of the evidence in the case and carefully advising the client. He works closely alongside Barristers on each case and is tireless in his preparation in order to achieve the best result for his clients. 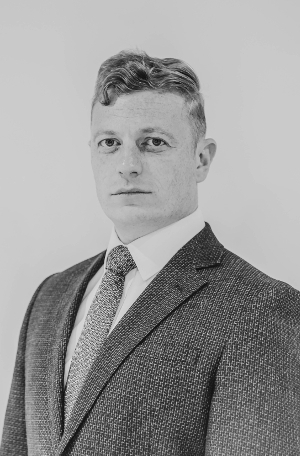 Matthew has a wealth of experience in all areas of Criminal Law ranging from serious offences of violence to complex conspiracy cases involving drug supply and fraud. In addition to being Head of the Crown Court Department, Matthew is also a fully qualified Higher Rights Advocate. This allows him to also practice and represent clients himself before the Crown Court and he has dealt with various types of cases to date including appeals and applications to discharge orders as well as sentencing hearings. Matthew is a member of the Criminal Litigation Accreditation Scheme. Matthew is also a very experienced advocate in the Magistrates Court and regularly represents clients in all aspects of Criminal Law and Road Traffic matters. He regularly represents clients at trial and prepares his cases in a methodical manner, adopting a robust approach in the Court room in defending his clients. In addition to Criminal Law, Matthew specialises in Family Law. He has a wealth of experience in dealing with all aspects of Family Law from representing clients in divorce and financial disputes to applications for Child Arrangement Orders. This has included Matthew representing clients in contested hearings before Circuit Judges and advising on complex issues involving ancillary relief proceedings. “I met Paul under difficult circumstances after spending time in a police cell for the first time. He put me at ease and was convinced of my innocence from the word go and was confident of an acquittal. I was found innocent with magistrates critical of the police officer who arrested me. Paul is a lovely fella and a superb solicitor. I’d recommend him to anyone”.